A database is a tool for collecting and organizing information. Databases can store information about people, products, orders, or anything else. Using MS Access, you can add new data to the database, edit existing records, delete unwanted records and organize it in the way that best suits your requirements. Furthermore, you can share it with people. You can export Access into Excel if you want to use the Access Database and make calculations in it in Excel. The transition from database format to excel spreadsheet will be smoothly done. 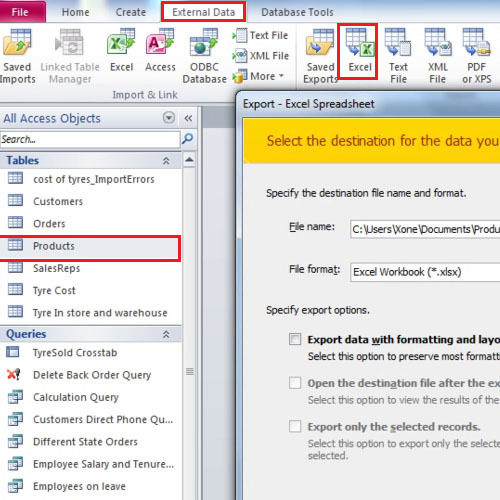 In this tutorial, we will teach you how to export Access to Excel. 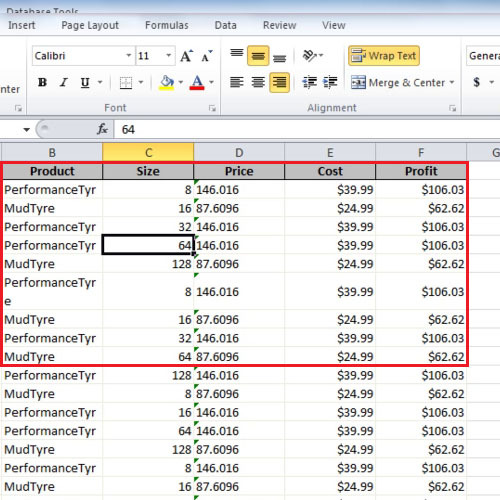 In this tutorial, we first clicked on the products table then on the “external data” tab. Click on the “excel” button located in the “export” group. 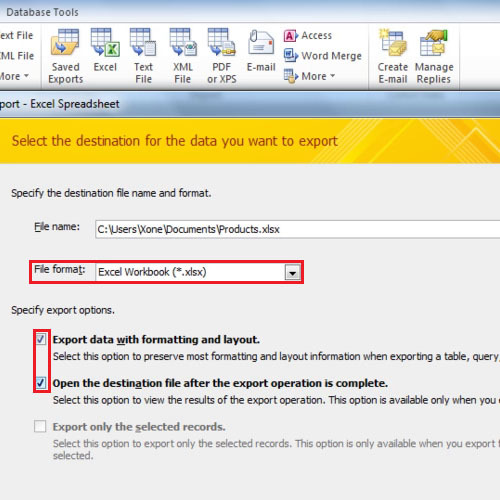 A dialogue box will appear as a result with which you can export Access to Excel. The dialogue box will ask you where you want to save the file. Click on the browse button in order to select the location where you want the file to be saved. After specifying the location of the file, you will be returned to the same dialogue box. Over here, check the first two export options. Click on the “ok” button to proceed further. 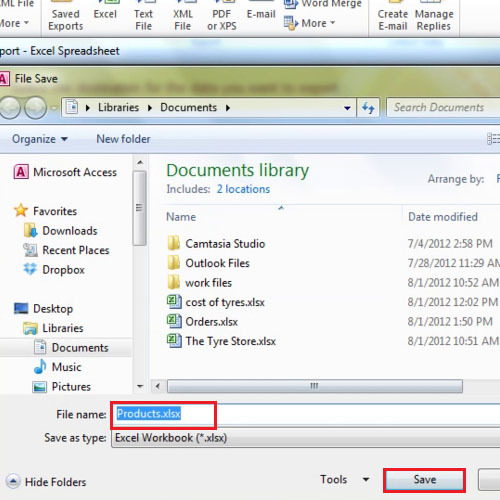 The two options will export the file from access to excel and it will open it in excel once you close this window. Microsoft Excel will open and show you the data you exported from Microsoft Access. In the previous step, you selected the second option which meant that after the conversion has taken place, the file will automatically open in excel sheet.